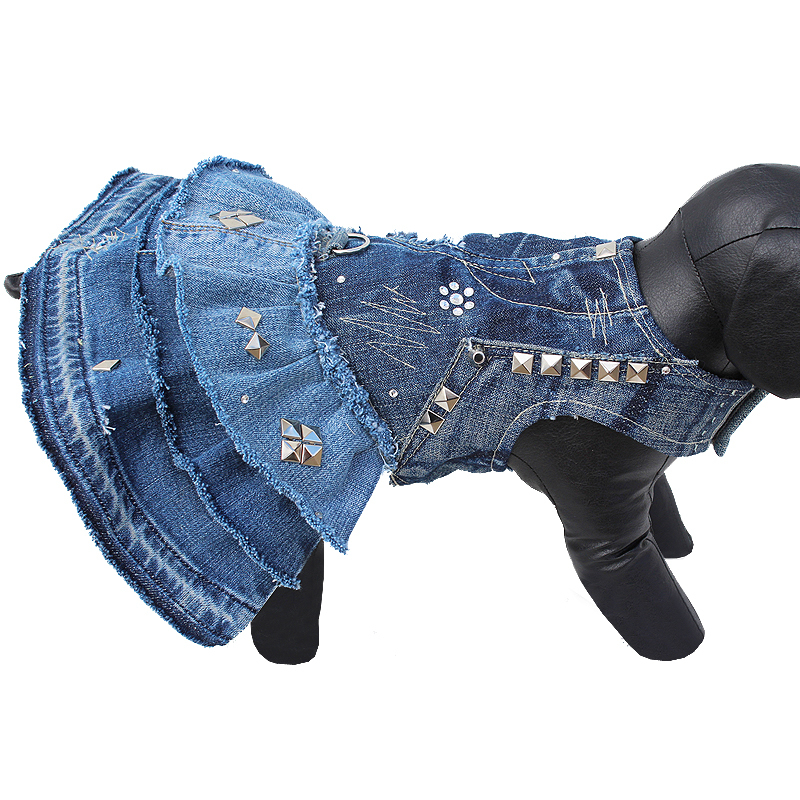 This one of a kind dog dress is made from 100% recycled denim that has been previously treated and stonewashed. 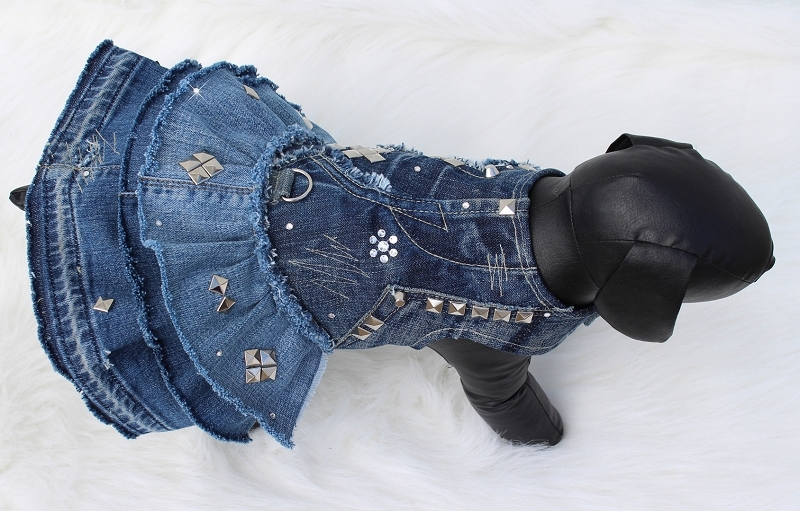 Due to variations in denim no two dresses will be exactly alike making it truly your own unique and special piece! 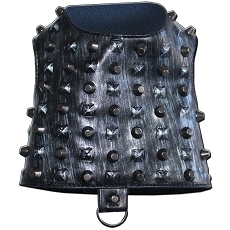 This must-have creation to any fashionista's wardrobe is adorned with silver square pyramid studs and SWAROVSKI crystal elements. 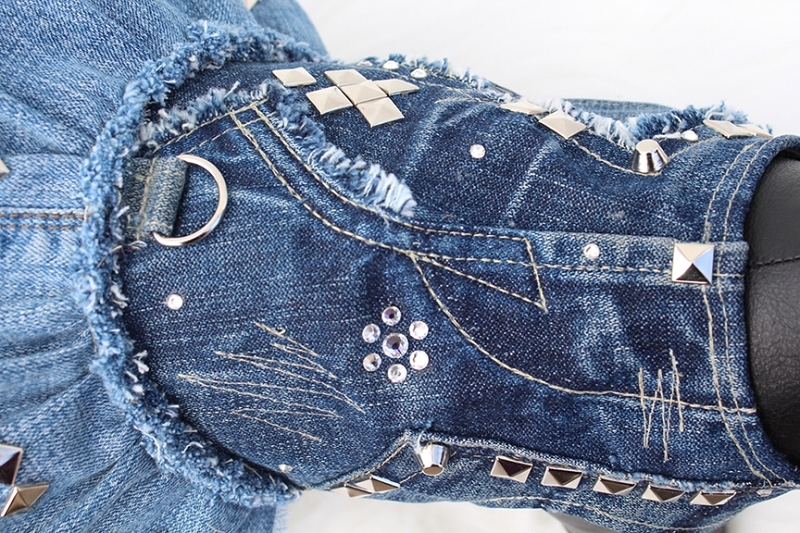 Bodice features unique stitching details and denim patching designs. 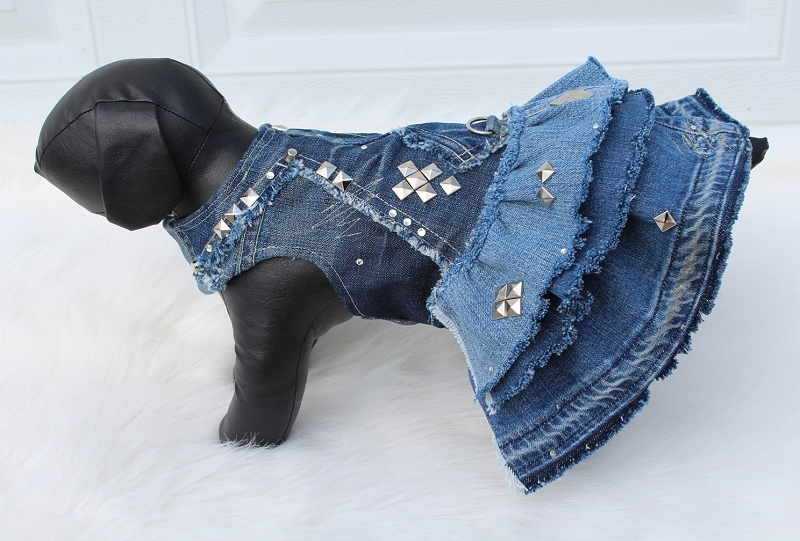 Dress is made harness style with adjustable velcro around neck and belly and d-ring at center back waist for leash attachment. 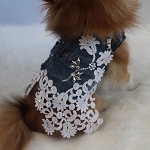 The bodice is fully lined with cotton material. 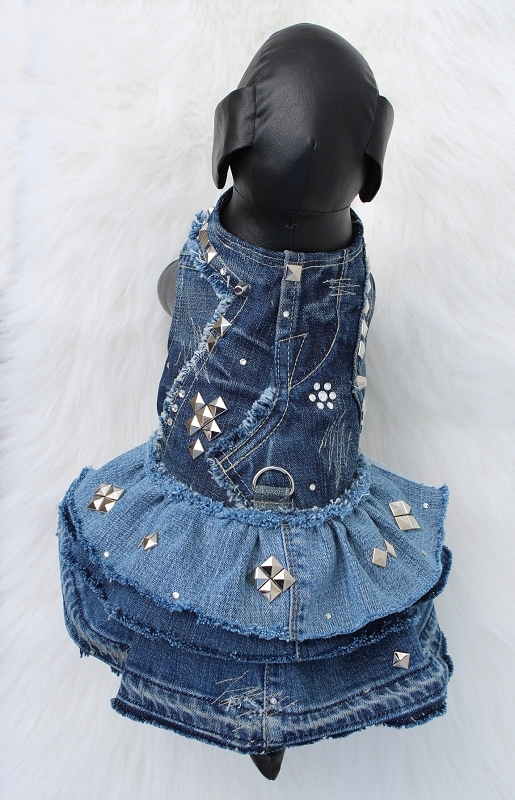 The skirt is made of 3 tiers in different denim washes and is frayed at the edges giving it a distressed urban modern feel. All items are made to order. 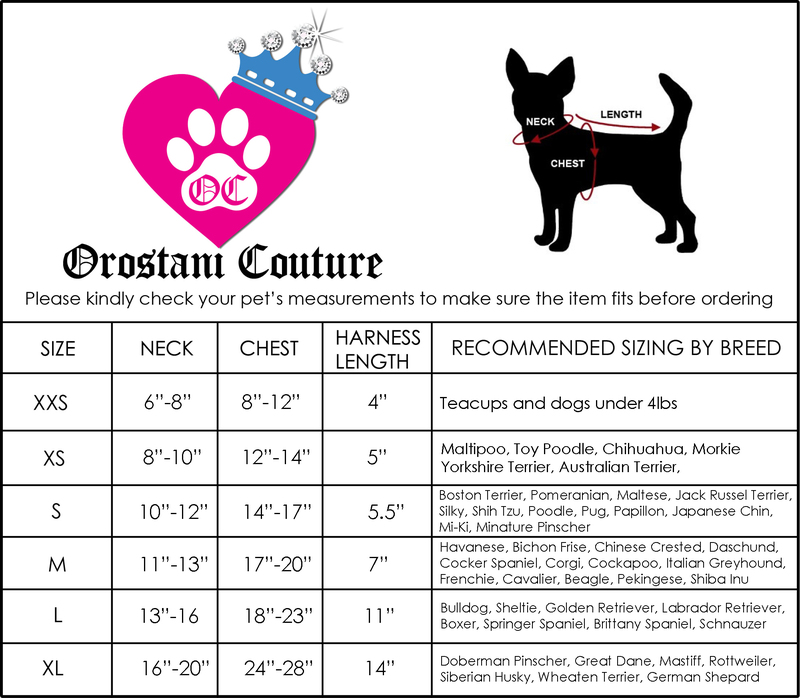 Please view my size measurement chart when choosing the right size for your furbaby or leave me a note with your measurements at checkout and choose any size. 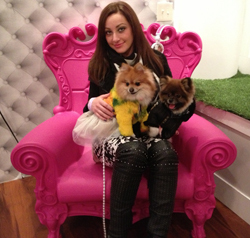 Olga Yuditsky of Orostani Couture is one of the most talented doggie designers I have met. 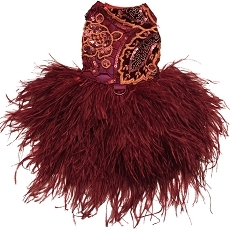 She incorporates couture design, edginess, and a "today" feel to all of her garments. 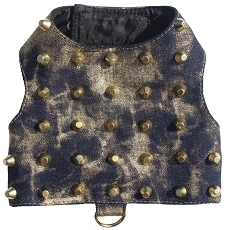 A dog would be lucky to wear Orostani Couture! Wish these outfits could be made for me!